An amalgamation of the greatest players from Great Britain and Ireland seemed the only hope of bringing down this mighty giant of the game. 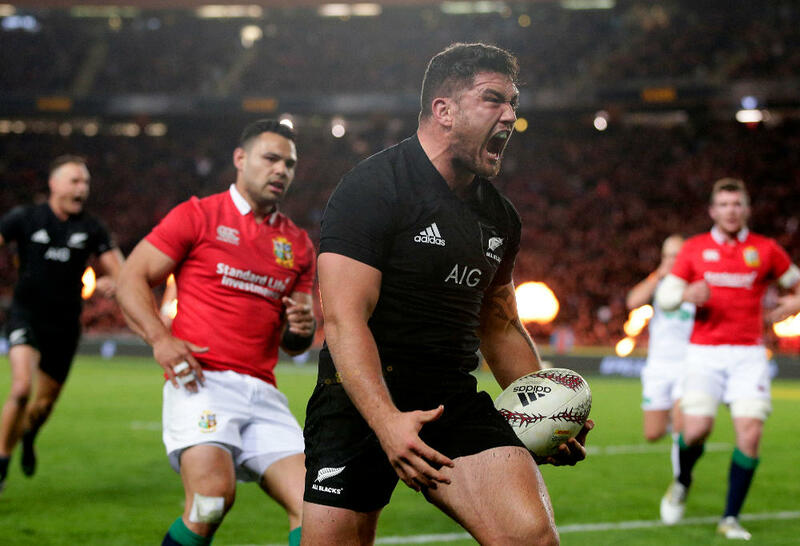 But alas, our hopes were merely a pipe-dream as the All Black juggernaut rolled on, dismantling the Lions with ruthless efficiency and reminding us once again why they are the greatest rugby team on the planet. The Lions had built up momentum during the course of this tour. The much derided ‘Warrenball’ was embraced by media and fans alike as results turned their way against the Super Rugby franchises and the New Zealand Maori team. It was a gameplan built on doing the basics to an extremely high level – forward pack dominance both at the breakdown and set pieces and using that as the platform to win penalties and generate cohesive backline play. The Lions forwards had no trouble getting over the gainline and when they didn’t achieve that, their aerial dominance meant they were still going forward, winning territory and dominating possession. Their defence was suffocating, they were competing strongly at the breakdown thus slowing down distribution from the base of the ruck which allowed the rush defence to swarm all over the opposition. I felt that it was a strong gameplan. No one in the world can match the All Blacks at their fast-based, running brand of rugby and to do so with a group of players that have come together for only six weeks would be fool-hardy. It was a gameplan that played to their strengths and one that can be instilled and learnt by the squad. The big question was could the Lions translate that into a victory against the All Blacks? The answer was a resounding no. It was hardly a contest and the Lions were dominated in all areas of the game bar the lineout. The All Blacks came out on fire. Their close quarter passing and handling was brilliant and they played a fast tempo that the Lions would have expected but could do little to stop. Everyone got over the gainline, Aaron Smith was getting super-quick ball and his decision making and distribution was as always first class. The go ahead that the New Zealand pack had all game meant that the Lions rush defence was nullified. The breakdown contest was also won by the All Blacks. On offense, they cleaned out well and that meant quick supply to their backs and fringe runners. On defence, they were always winning the gainline, generated numerous turnovers and most importantly managed to slow the ball down. Murray and Farrell had to go to the air a bit more than they would have liked and this meant handing over more possession to NZ. 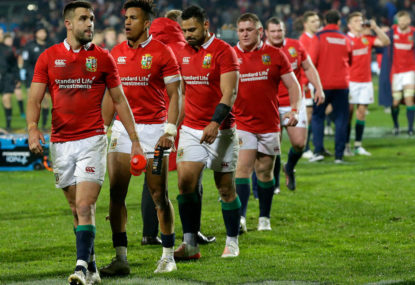 I always felt that the Lions had to dominate possession for as long as possible but the statistics show that New Zealand dominated possession (61 to 39 per cent) and if this is replicated, the Lions have no chance for the remainder of the series. The set piece was supposed to be an area where the Lions hoped to assert some dominance over the All Blacks. The lineout was excellent with only one throw being stolen and this was after the game was effectively over and they stole another two throws. But perhaps what was missed here was the ability of the New Zealand defence to shut down the Lions maul. The Lions rolling maul has been a huge strength in the lead up games but on this occasion the New Zealand forwards did a fantastic job of never allowing the maul to get going. Credit must go to Steve Hansen and the forwards for their careful planning and execution of the New Zealand maul defence. The Lions scrum has been dominant in the majority of the lead up games but the Lions met their match here. For the most part they held up well on their own feed but they were dominated on the New Zealand feed and were unable to put any pressure on the New Zealand backrow and backline. This was exemplified in the All Blacks second try when a scrum penalty lead to a brilliant offload by Read which eventually lead to Rieko Ioane scoring in the corner. Warren Gatland and the Lions would have been bitterly disappointed to have been smashed in that scrum and then concede a try from a piece of Kieren Read magic. So, were there any positives for the Lions? There were moments of brilliance that lead to several line breaks, one of which lead to the first try. Liam Williams was immense and justified his selection over Leigh Halfpenny with his performance. He took the game on, beat players, broke the lines and created running lanes for other players to slide into. Elliot Daly and Jonathan Davies looked dangerous on the few occasions they had the ball. Connor Murray was again deadly with his box kicking and Lions had some success with the aerial ball. Everyone clearly tried hard and had a go but were smashed by a New Zealand team that was relentlessly outstanding in all areas of the game. So what can the Lions do to change things? Based on this performance, this series is as good as over but that really is not much help to anybody. It is difficult to change the gameplan halfway into the series with a group of players that have only been together for several weeks, so the answer is personnel changes, minor tweaks and competing better at the basics of the game. On offence, Rhys Webb may be a positive change at the scrum base. Connor Murray is excellent with his box kicking but is not as dangerous running around the ruck edges. Rhys Webb will provide quick and crisp service and could be more creative running the ball. The Lions struggled to get over the gain line and without that, they will not get close to the All Blacks all series. I would start Courtney Lawes and Maro Itoje as the locks. Itoje was brilliant after coming on and Lawes was excellent with ball in hand against the Chiefs. I do not think you lose much in the set pieces with this change but gain much more around the field in terms of dynamism, support and running play. Faletau was solid but unable to make a dent in the defensive line and perhaps a change to CJ Stander might be an option. I would also bring back Sam Warburton at blindside flanker. Peter O’Mahoney put in a fantastic shift but they need speed and players that can compete more effectively at the breakdown. A Warburton/O’Brien or even Tipuric tandem may be way to go because if they cannot slow the play the ball down, the rush defence cannot get in the faces of the New Zealand line. The support play needs to be better. There were too many turnovers at the breakdown or just before the ruck was formed. Players were isolated at times resulting in several penalties for not releasing and several times Lions players were stripped by the opposition. Turnovers limited their ability to maintain possession, build continuity or control the tempo of the game. Only the most optimistic or delusional of supporters would predict a Lions series victory here but most of us are just hoping for a contest. Lets hope the Lions can make some adjustments and compete.